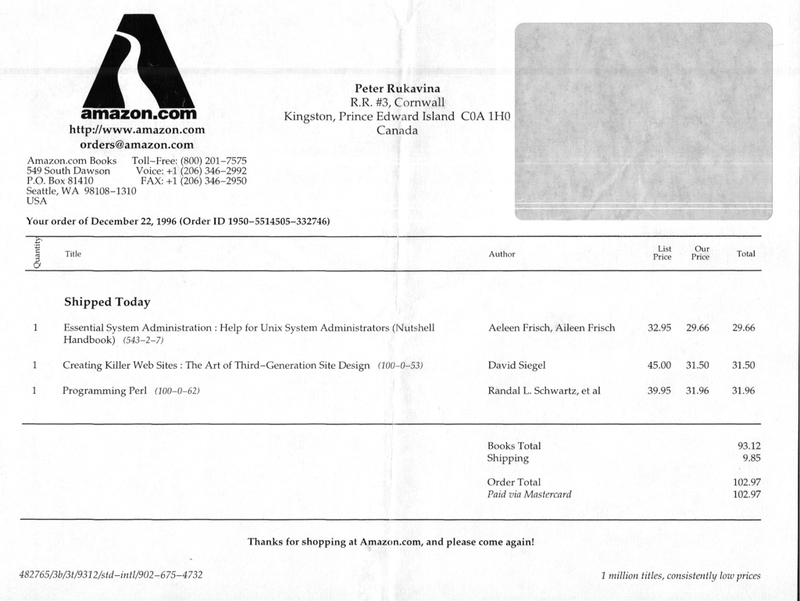 This wasn’t first order I placed on Amazon.com – that came the year before, and resulted in this email exchange with Jeff Bezos – but this is still a very old Amazon.com packing slip. Twenty years old, in fact: order placed on December 22, 1996. Written October 14, 2016 at 2:09 p.m.